Today’s feature is the 2005 remake of John Carpenter’s 1980 film, The Fog. The screenplay for The Fog was written by Cooper Layne, based on the original 1980 film penned by John Carpenter and Debra Hill. His only other writing credit at the time was the 2003 flop The Core, which has the distinction of being widely regarded as the most scientifically inaccurate movie ever written. In the years since, he has not only had no writing credits, but no listed theatrical credits of any kind. The Fog was directed by Rupert Wainwright, who had previously helmed the movies Blank Check and Stigmata. To date, much like Layne, he hasn’t worked on any other feature-length films. The cinematographer for The Fog was Nathan Hope, who is known for shooting the horror sequels The Prophecy 3, Hellraiser: Inferno, and Mimic 2. The film’s editor was Dennis Virkler, who has cut such films as Daredevil, Batman & Robin, Freejack, Under Siege, Xanadu, The Hunt For Red October, and Airplane II, among many others. 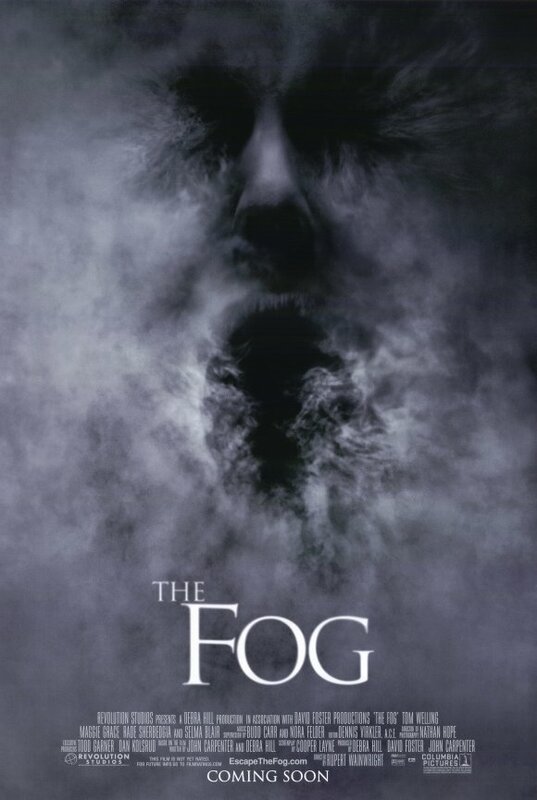 The musical score for The Fog was created by Graeme Revell, who has composed music for movies such as Sin City, Daredevil, Red Planet, Suicide Kings, Spawn, From Dusk Til Dawn, Tank Girl, and Street Fighter. The producing team behind The Fog included the original 1980 creative team of John Carpenter and Debra Hill (Halloween, Escape From New York), Mark Cartier (Beowulf, The Core), Derek Dauchy (Marmaduke, The Master of Disguise, Anger Management), David Foster (The Thing, The Core, Hart’s War, Short Circuit), Todd Garner (Paul Blart: Mall Cop 2, Paul Blart: Mall Cop), and Dan Kolsrud (Mystery, Alaska, L.A. Confidential, Se7en, Falling Down). The makeup effects team for the film included Jill Bailey (The Score), Rebeccah Delchambre (The A-Team, Fido), Chris Devitt (American Mary, The Wicker Man), Monica Huppert (Marmaduke, Slither), Michelle Lemieux (Slither, The Core), Toby Lindala (Supernatural, Lake Placid), Harlow MacFarlane (Sucker Punch, Mansquito), Shauna Magrath (Bordello of Blood, The 6th Day), Geoff Redknap (The Black Cat, The X-Files), and Toby Lindala (Dreamcatcher, Lake Placid). The special effects work on the movie was done by a group that included Douglas Beard (Catwoman, Ghost Rider), Bob Comer (Willard, Fringe), Barry Hebein (Alone In The Dark, Slap Shot 3), Dan Keeler (Air Bud), Robert Lyle (Freddy vs. Jason), Eric Milner (House of the Dead), Ian O’Connor (Mystery Men, The Mask, Torque), Terry Sonderhoff (Bordello of Blood, The Good Son), Harry Tomsic (The Grey), and Robert Yeager (Catwoman). The team of visual effects artists on The Fog included Chris Watts (Waterworld, 300, Demolition Man), Colin Strause (Looper, Jonah Hex, Torque), Greg Strause (Volcano, Constantine), Karl Rogovin (300, 2012, Green Lantern), George McCarthy (Avengers, Speed Racer, Lost in Space, Sucker Punch), Scott Michelson (Looper, Torque, Constantine), Adam Lisagor (Kiss Kiss Bang Bang, The Day After Tomorrow), Bill Kunin (Terminator 3), and Jeff Olm (Zodiac, Reign of Fire). 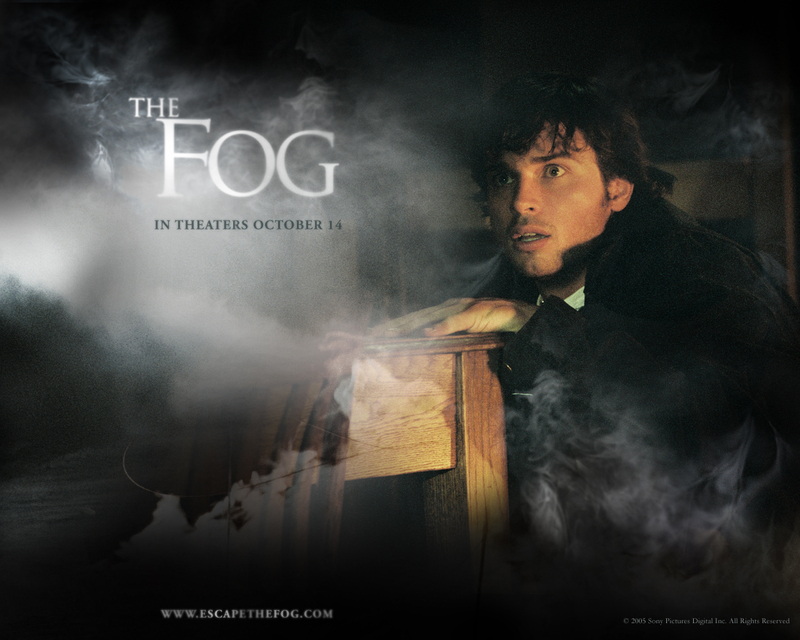 The cast for The Fog included Tom Welling (Smallville), Maggie Grace (Taken), Selma Blair (Hellboy), DeRay Davis (21 Jump Street), and Kenneth Welsh (The Aviator). Debra Hill, who was a co-writer and producer on the original The Fog, died of cancer just before filming began on this remake. She still received a producing credit on the picture, as well as a special thanks and dedication. Before Tom Welling was ultimately decided on for the lead, a number of young actors were allegedly considered to star in the film. These included Henry Cavill (Man of Steel), Matthew Fox (Lost), Matthew Davis (The Vampire Diaries, S. Darko), Oliver Hudson (Nashville, Black Christmas), Peter Facinelli (Nurse Jackie, Twilight), and Ben McKenzie (Gotham, Southland, The O.C.). In other alternate casting trivia, apparently Fergie of the music group The Black Eyed Peas was at one point attached for a role in the film, but had to back out at the last minute due to a schedule conflict. The lead character’s name in The Fog, Nick Castle, was taken from the man who played Michael Myers in the original Halloween for John Carpenter, which was his preceding film before 1980’s The Fog. Reportedly, this remake of The Fog was green-lit by Revolution Studios before Cooper Layne’s screenplay was even finished. The estimated budget of The Fog was $18 million, on which it managed to gross just over $46 million in its total theatrical run. In spite of it being a profitable movie, critics and audiences absolutely despised it: the film currently holds an IMDb rating of 3.6, alongside Rotten Tomatoes scores of 4% (critics) and 19% (audience). The production clearly anticipated a negative response, as it was not screened for critics before its release. The first obvious issue with The Fog is the weak casting. Most of the leads were obviously pulled from television shows hot at the moment, rather than cast for their talent. Even worse, the fact that all of the stars were just hot for the moment at the time the film was made has made the movie dated very quickly. As one review noted, The Fog suffers from one of the same problems as the original, in that “seeing ghosts is less scary than imagining them.” While the fog itself has an eerie effect, once again the figures within it just aren’t quite intimidating enough, and seem like an anticlimax to the build-up of the fog. Personally, one of my biggest issues with The Fog is that it focuses way too much on the backstory of the curse, which struck me as entirely unnecessary, and actually sapped some of the creepy mystique and menace from the threat. Even worse, a lot of the information is revealed to the audience right out of the gate, removing any potential element of mystery from the plot. The Fog struck me as, above all else, not in the spirit of the original film. 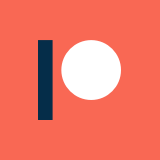 At the end of the day, it isn’t so much bad as it is immensely generic and poorly envisioned. There are some good things about it, but they are few and far between, and vastly outweighed by its mediocrity, poor casting, and sub-par writing. There aren’t any redeeming values to it as an entertainingly bad movie unfortunately, so there aren’t any compelling reasons to give it a watch (outside of the morbid curiosity of John Carpenter fans). I recommend just skipping right by this one, though the original is more than worth your time.